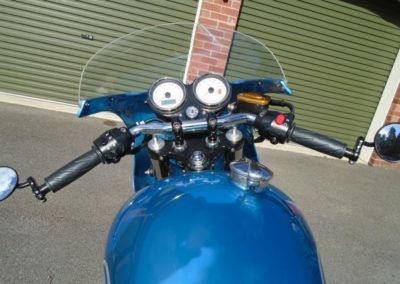 If you are looking for something particular, please contact us to discuss your requirements. 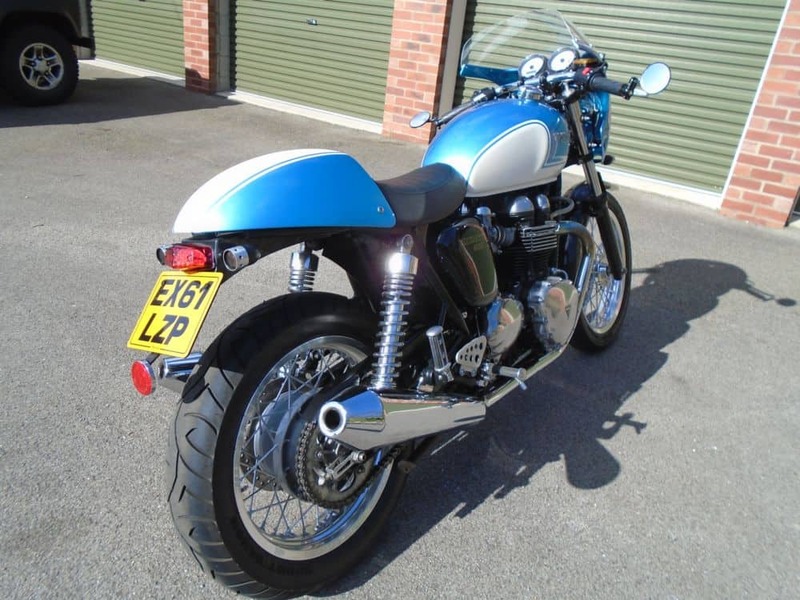 Sometimes motorcycles are sold before making it onto our website, and if we do not have your details, you may miss the vehicle you are looking for. 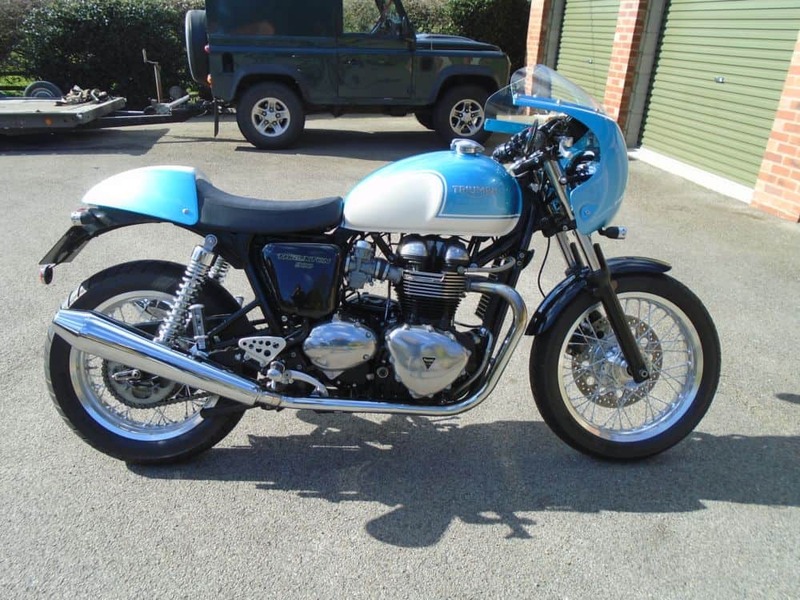 Most of the motorcycles we offer for sale are owned by us, but we also sell on commission. If you would like us to sell your motorcycle for you, our commission rates are competitive, and we can collect your motorcycle personally. 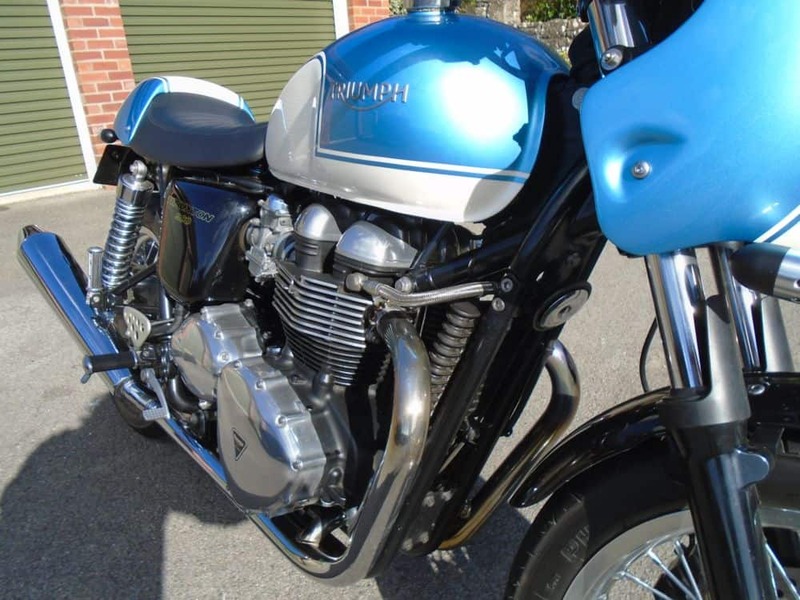 On the cars and motorcycles we sell, we offer economic delivery rates to most parts of mainland Britain, please ask for a quote. 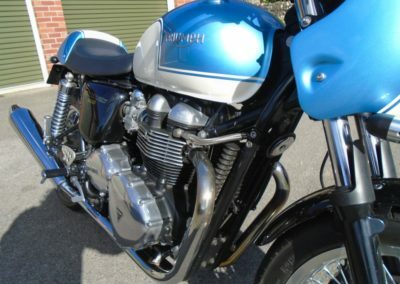 Triumph have always made great bikes and here is another one! 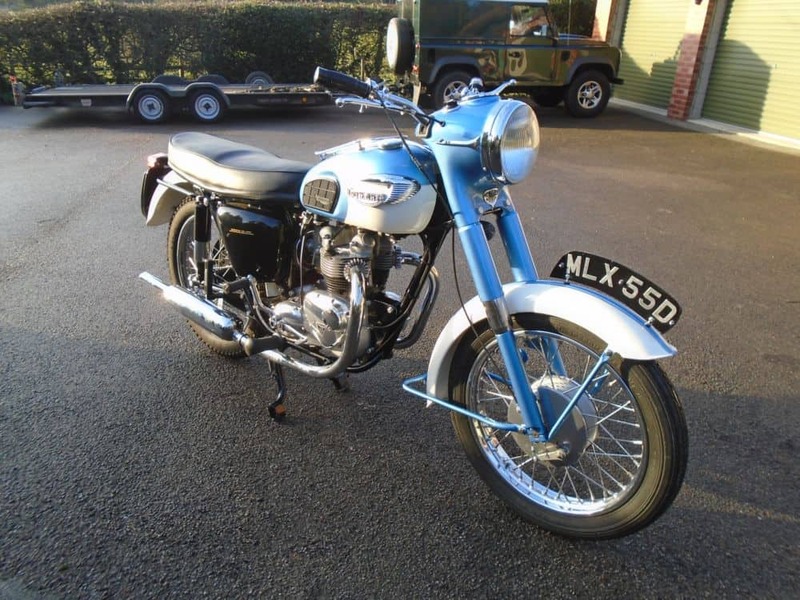 It is a little modern for us, but we were offered it in part-exchange for a car and couldn’t resist it, as it is in such fantastic condition and is such a beautiful bike. 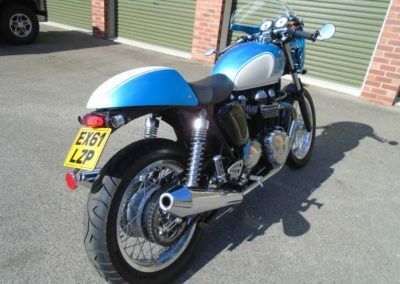 Well finished in traditional Triumph colours, with bikini fairing, tail tidy, retro LED stop tail-light and bullet turn signals, Monza fuel cap and contemporary Triumph badges. 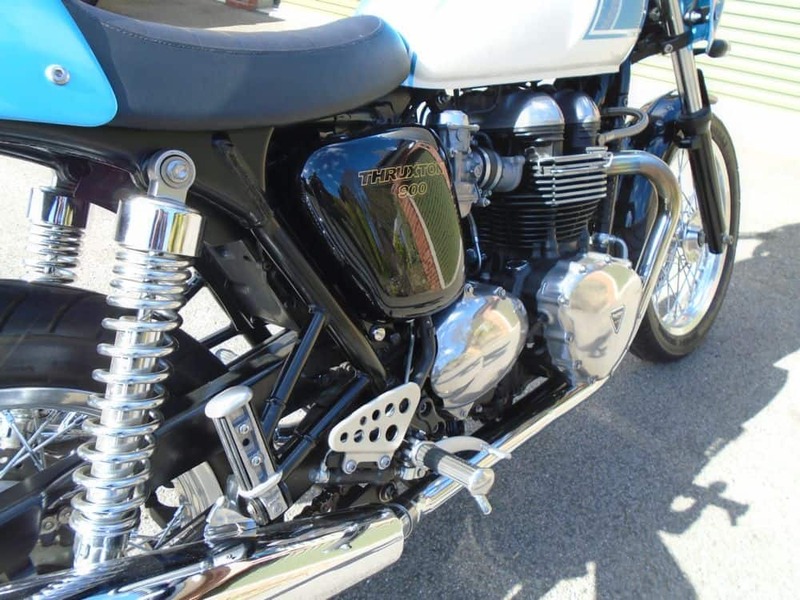 Full alarm and immobiliser system, centre stand, OR silencers. 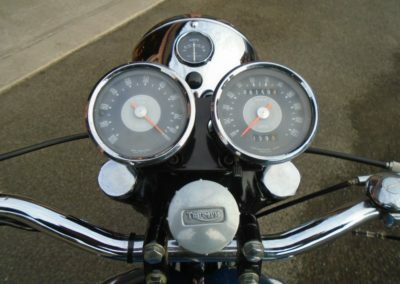 The motorcycle is pretty much like new, and has covered only 10,700 miles. Well maintained and serviced. 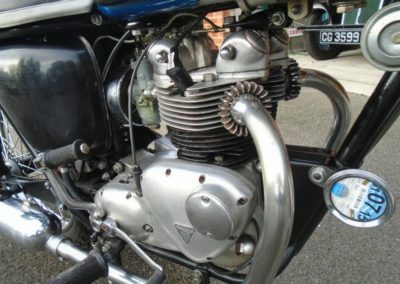 Current MOT, V5C, workshop manual. 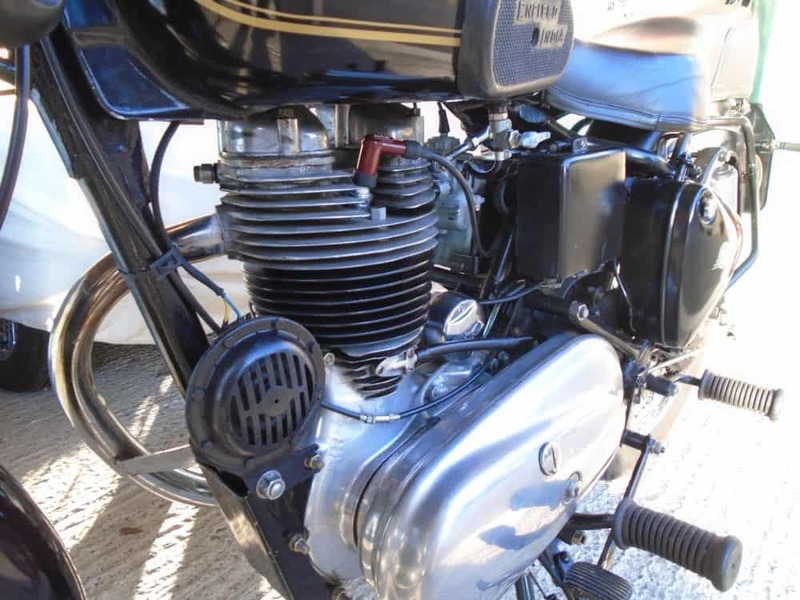 We are always pleased to consider part-exchange for other motorcycles, for pre-war or early post-war cars, or for good MGs, and can offer economic delivery to most parts of mainland Britain. 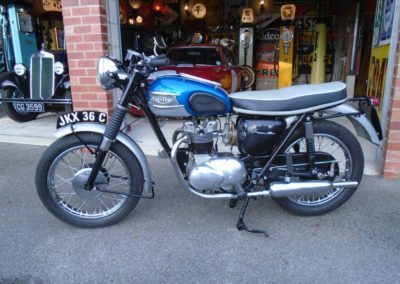 IF YOU HAVE A CAR OR BIKE FOR SALE WE CAN ALSO SELL IT FOR YOU ON A COMMISSION BASIS – NO SALE, NO CHARGE. 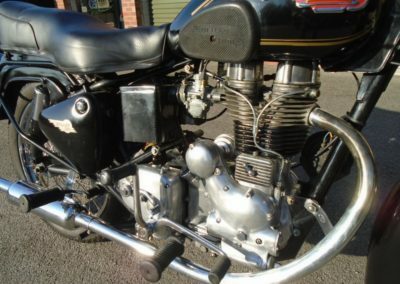 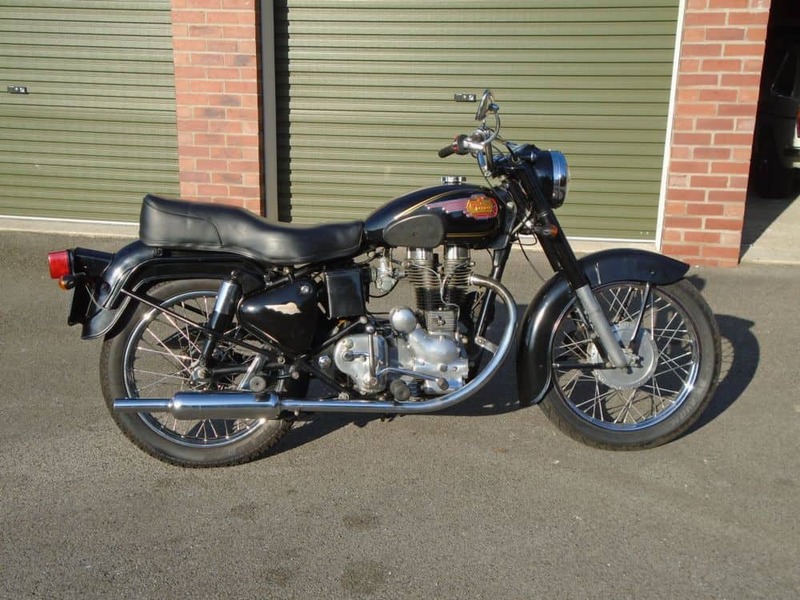 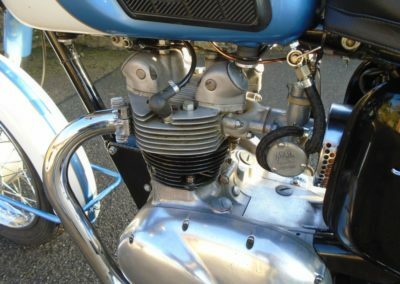 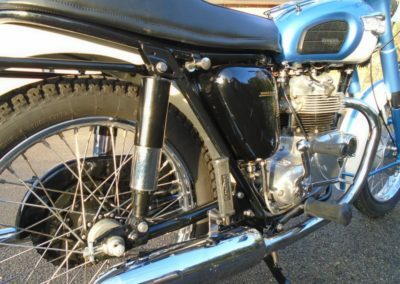 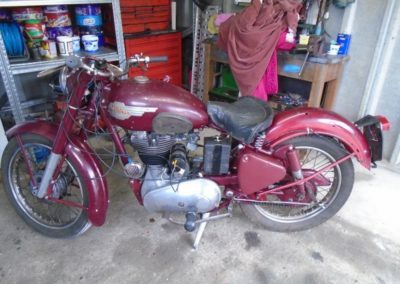 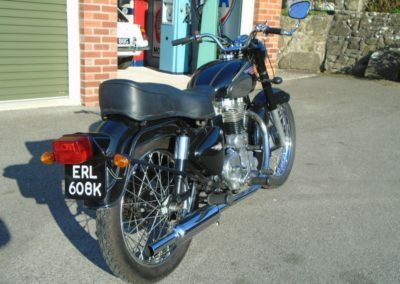 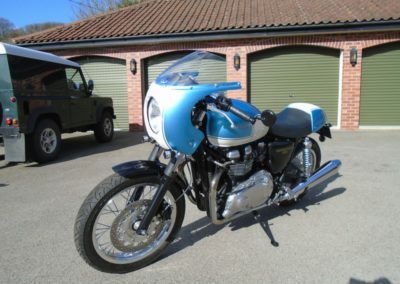 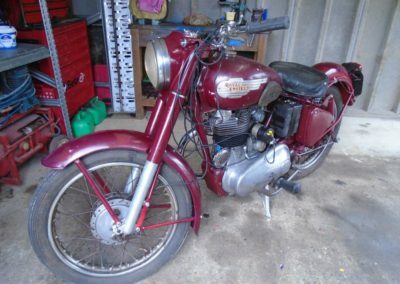 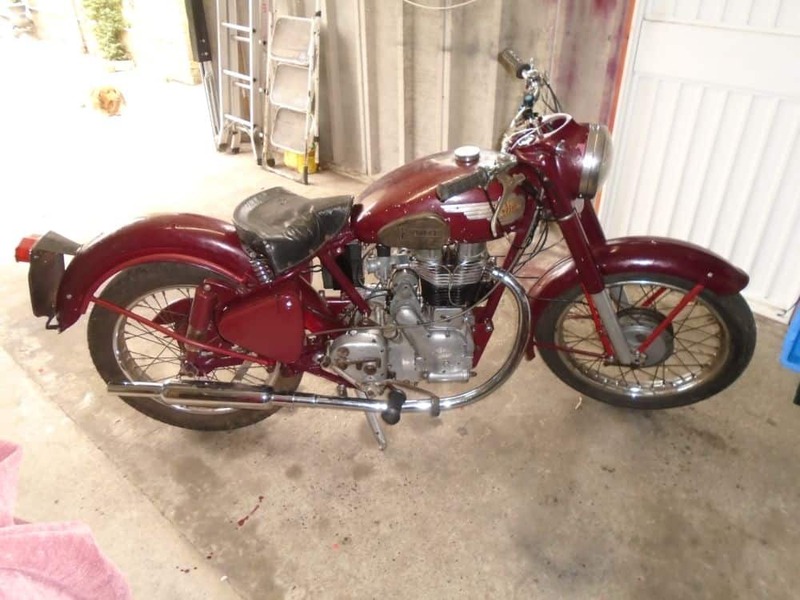 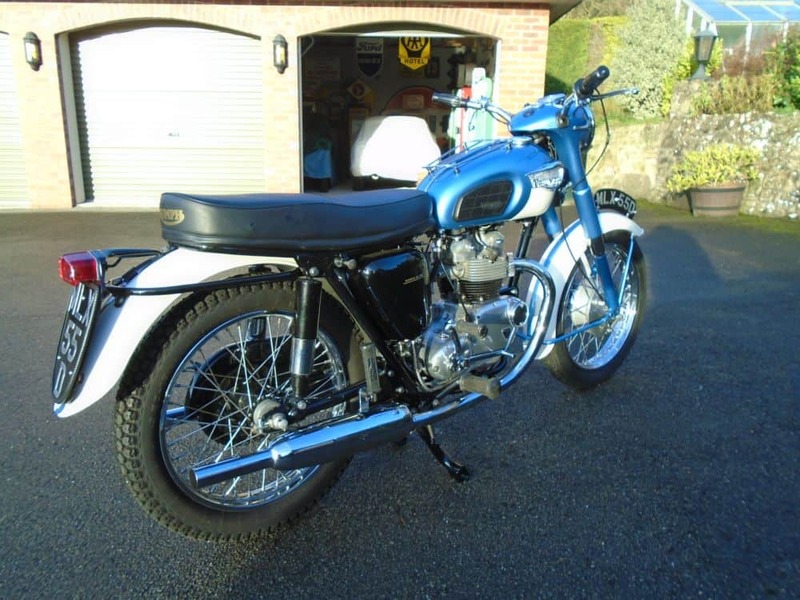 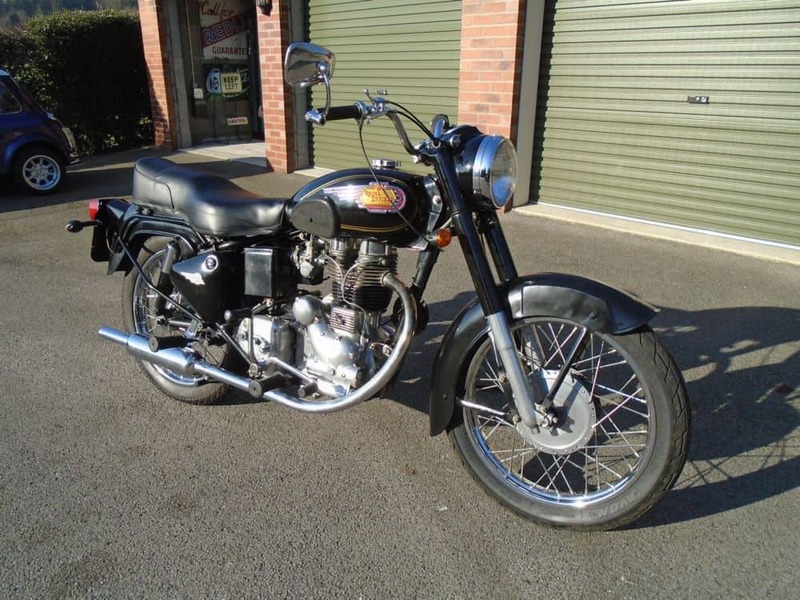 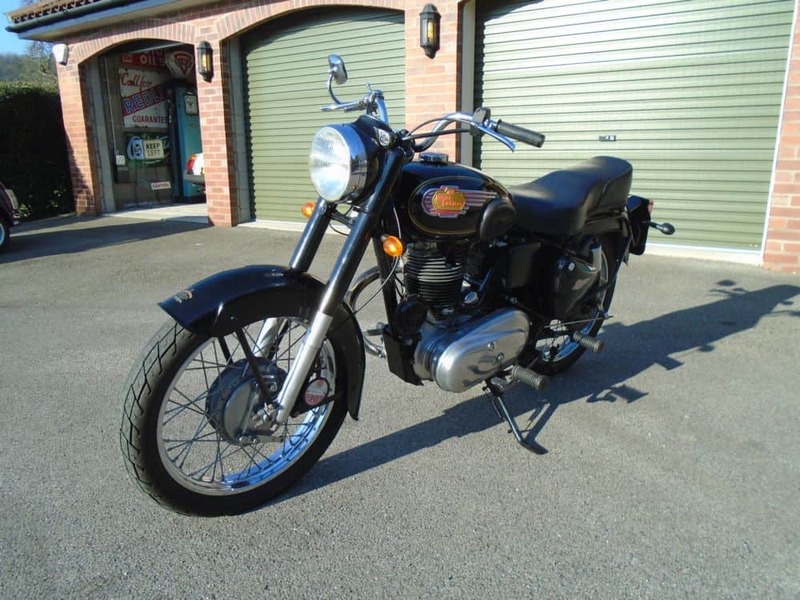 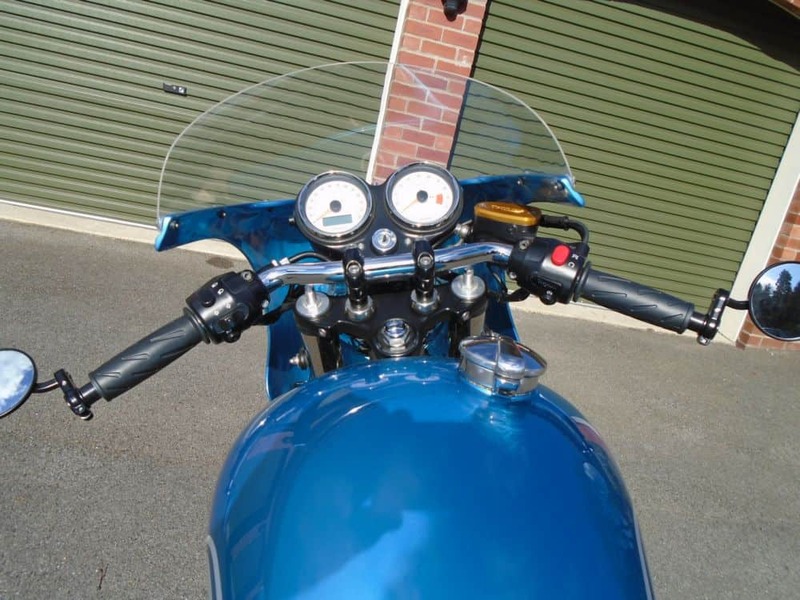 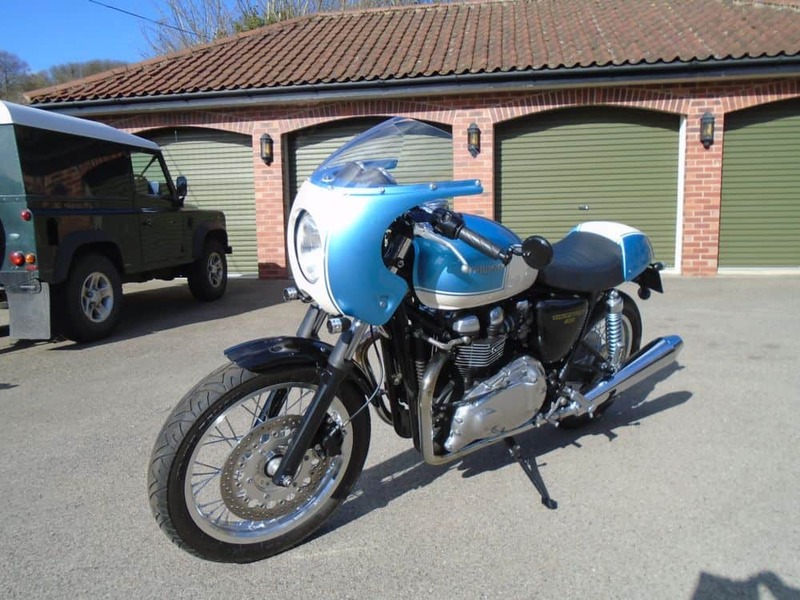 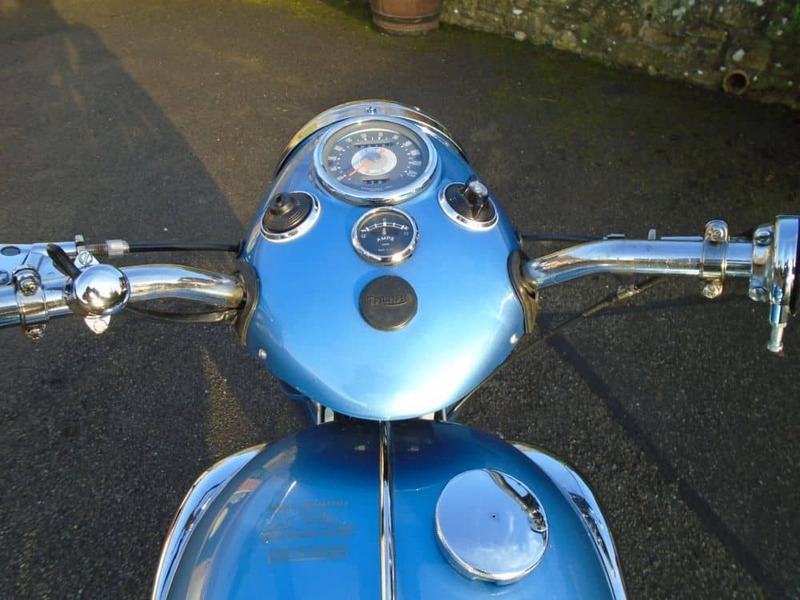 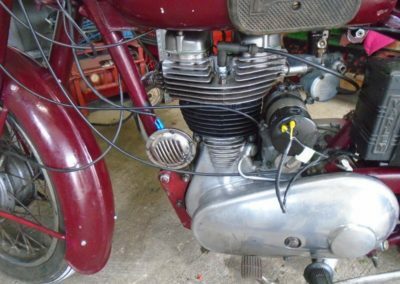 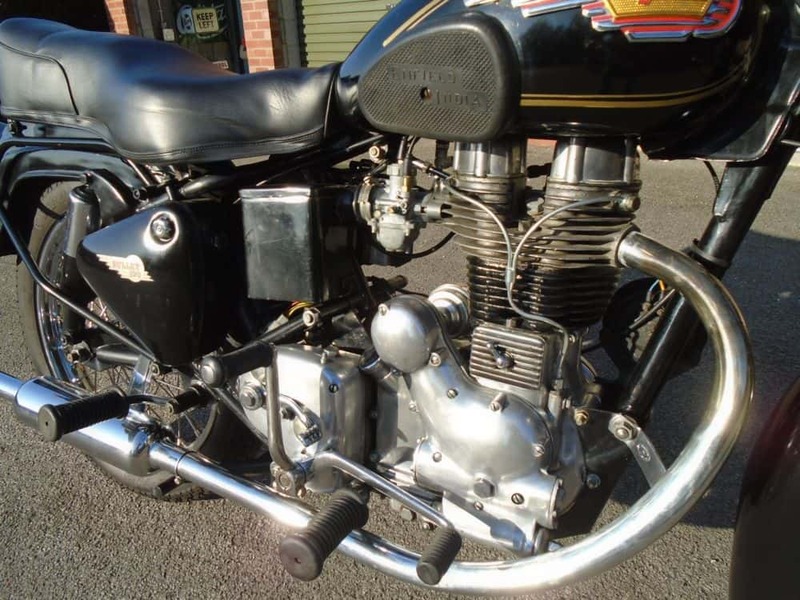 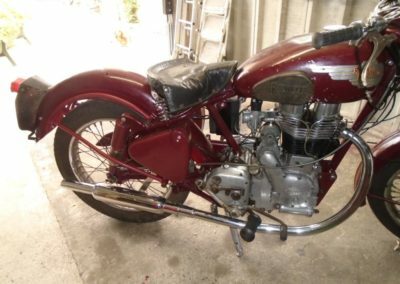 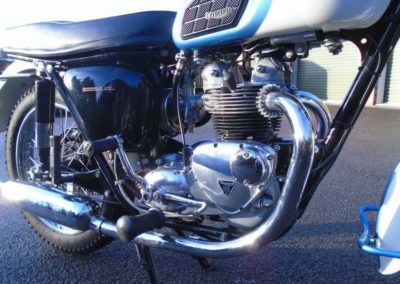 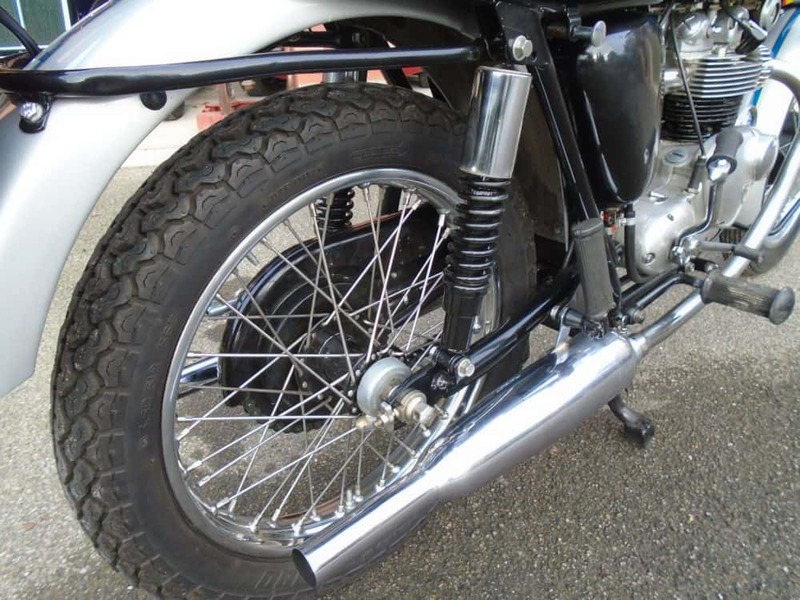 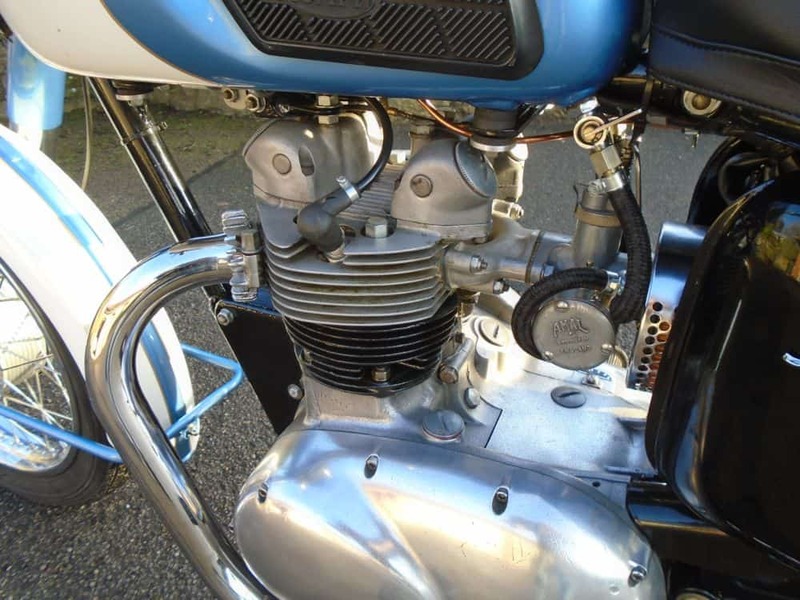 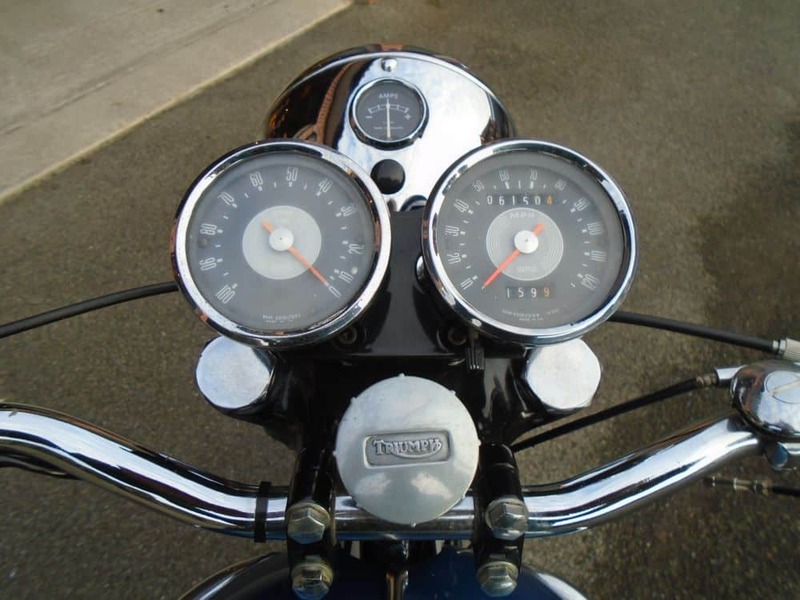 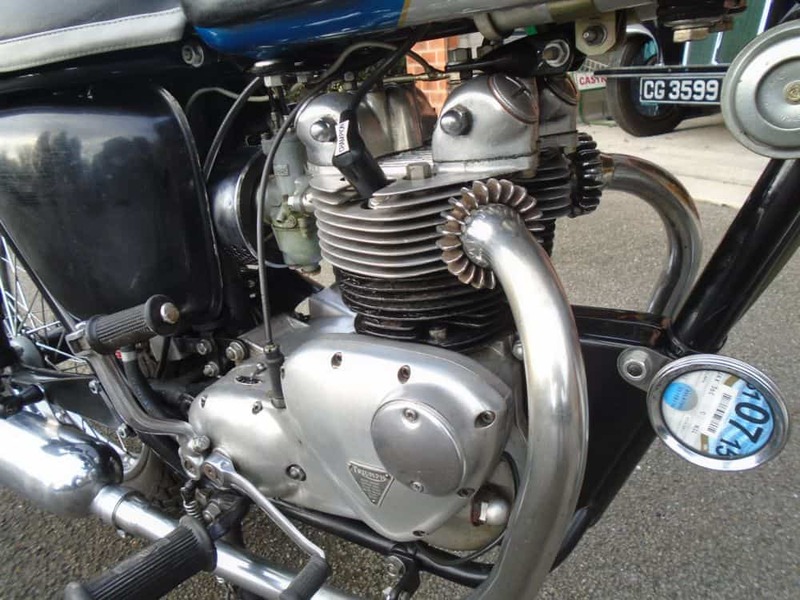 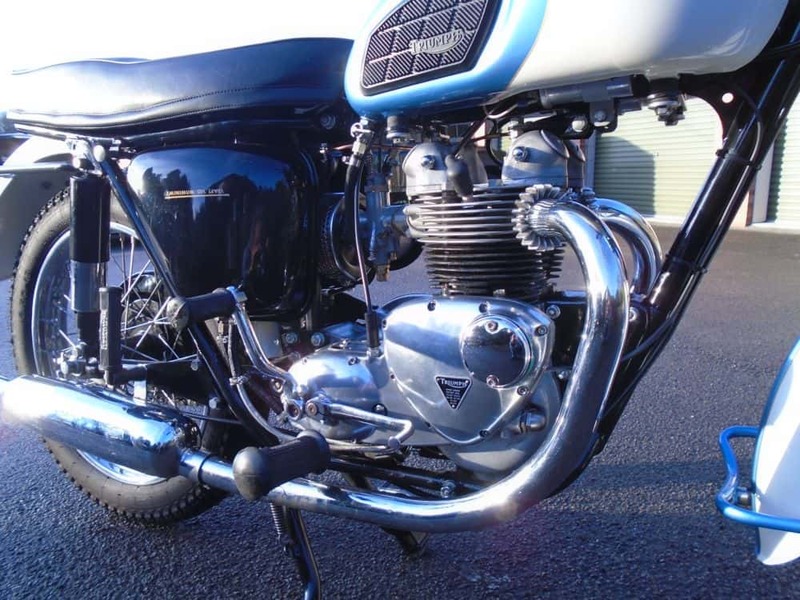 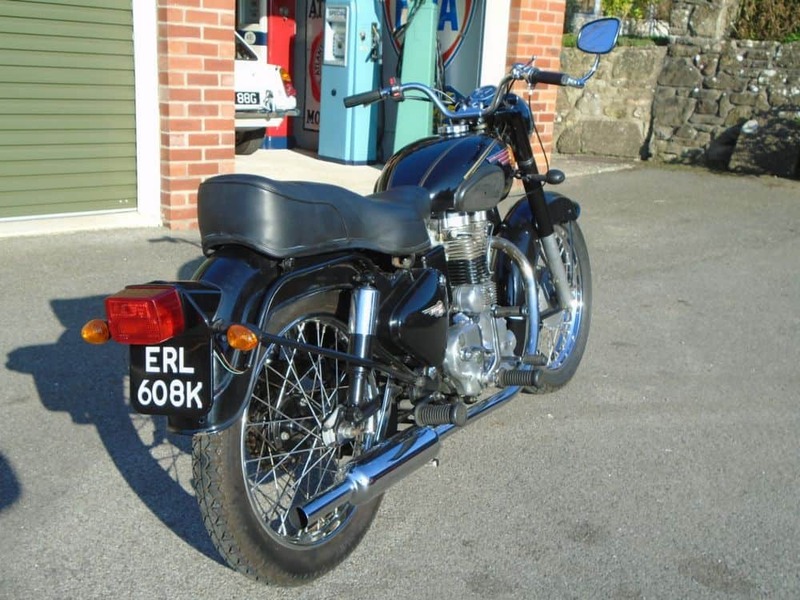 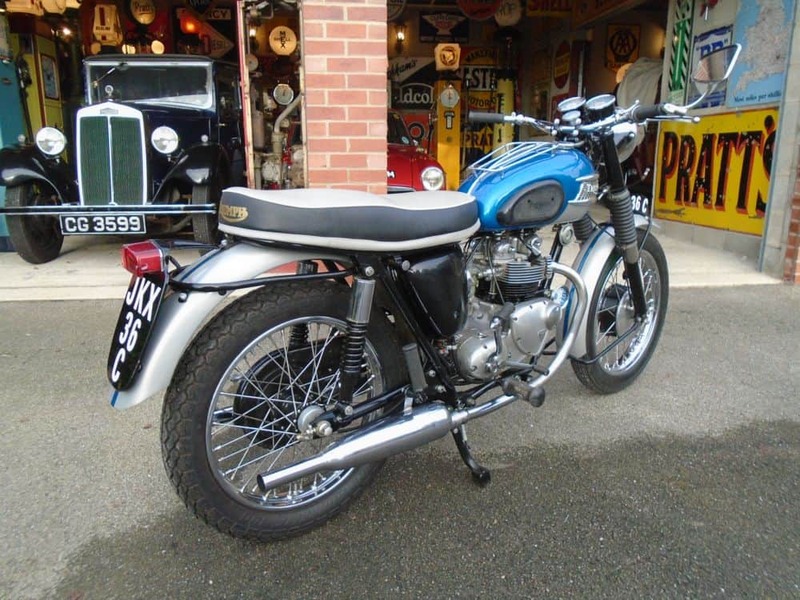 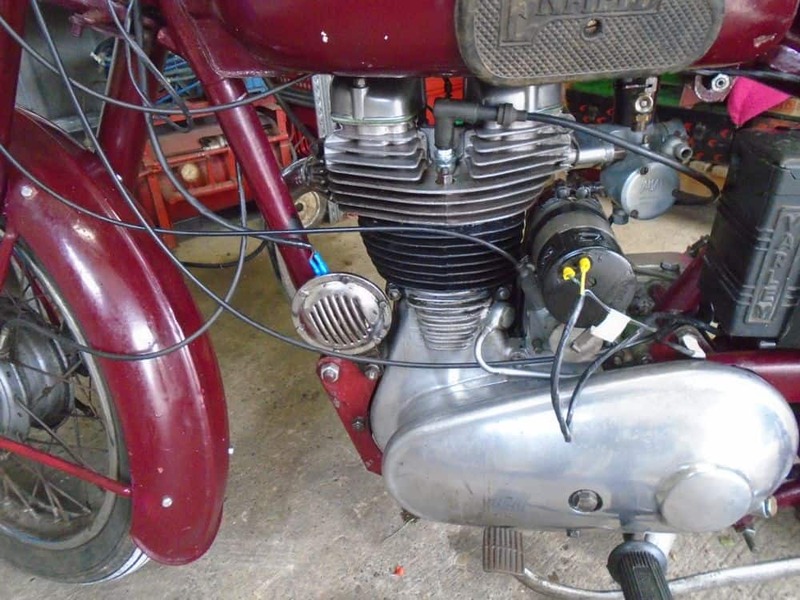 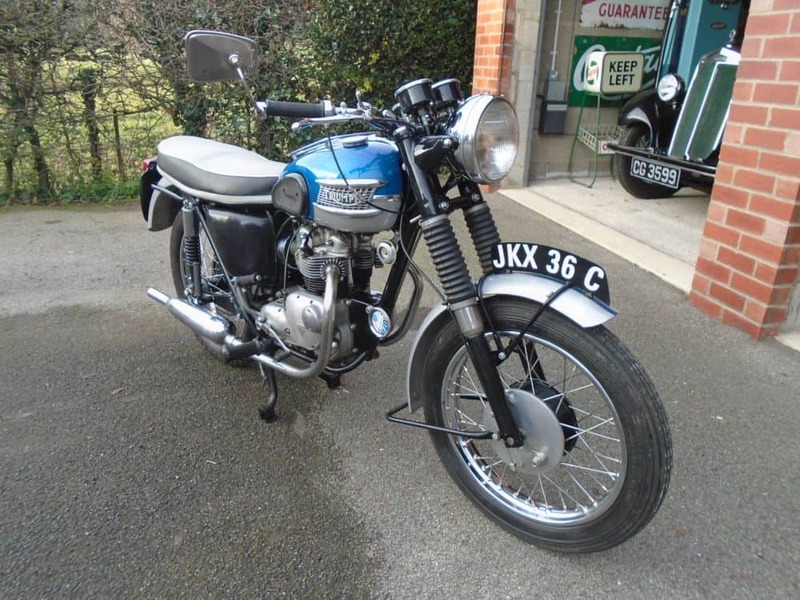 Restored motorcycle, in very good condition, running very well indeed, and offering excellent value for money. 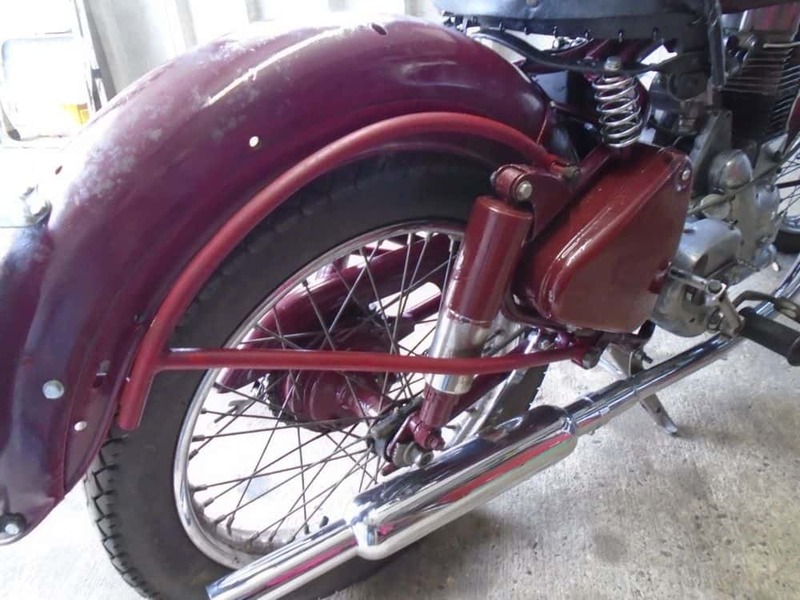 Excellent wheels and tyres, good paintwork – with a few small blemishes – good chrome work good seat and with indicators fitted. 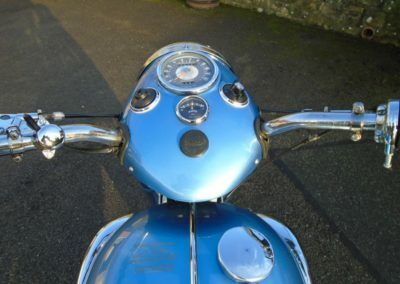 Comes with workshop manuals, V5C and MOT to March 2020. 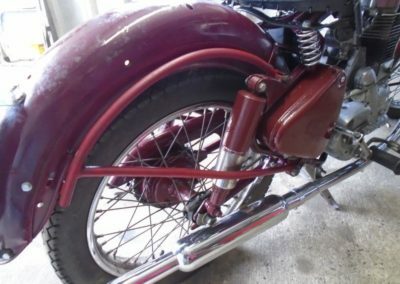 A super old bike. 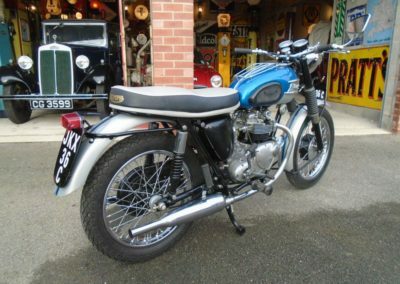 We are always pleased to consider part-exchange other motorcycles, for pre-war or early post-war cars, or for good MGs, and can offer economic delivery to most parts of mainland Britain.